Employers have begun to see an interesting letter pop up in their mailboxes recently. The Social Security Administration (SSA) has re-implemented the use of “Request for Employer Information” letters, more commonly known as “No-Match” letters. The SSA has used these letters in the past, but discontinued them each time for different reasons. No-Match letters were last utilized in 2011, but in July 2018 the SSA re-started the practice by sending letters to employers and third party providers to inform them of mismatches on their 2017 W-2 forms. A No-Match letter is a written notice issued by the SSA in response to the wage and tax statements submitted by the employer, advising that the name or Social Security number (SSN) reported by the employer for one or more employees does not “match” a name or SSN combination reflected in the SSA’s records. “You reported X employee names and Social Security numbers (SSN) on the Wage and Tax Statements (Forms W-2) for tax year xxxx that do not match our records. We need corrected information from you so that we can reconcile employer wage reports and credit your employees’ earnings to their Social Security records. It is important because these records can determine if someone is entitled to Social Security retirement, disability, and survivors benefits, and how much he or she can receive. If the information you report to us is incorrect, your employee may not get benefits he or she is due. A mismatch can be caused by a variety of factors, and does not necessarily mean an employee has participated in any wrongdoing. Administrative errors are commonly to blame for receipt of a No-Match letter. But once a letter is received, in determining how to respond, employers find themselves worrying that they may have more to answer for than just a paperwork error. Proper response to one of these letters is crucial for employers to avoid further - and worse - issues down the road. Below are some tips for employers on how to respond to Social Security No-Match letters. A No-Match letter can be worrisome for employers, especially for employers who have non-citizen employees and have submitted I-9 forms for those employees. However, the letter explicitly states that employers should not take any adverse employment action against a referenced employee based solely on receipt of the letter, makes no statement about the referenced employee’s immigration status. Any adverse actions against the employee or assumptions about their immigration status, the letter warns, could be a violation of State or Federal law and could subject the employer to legal consequences. Rather, the letter is sent out to report an apparent error in either the employer’s records or in the SSA’s records, and to seek assistance from the employer in correcting the error. Remain calm and understand that no-matches can occur due to simple administrative errors. Go to the website link detailed in the letter to view the names and SSNs that could not be matched. Check employee(s) records for any copies of paperwork that might be helpful in determining the source an administrative error. Reach out to the employee(s). Explain the No-Match letter to employee(s) and formally request that they confirm the name and SSN that is recorded in their employee records. Occasionally check-in with the employee(s) to get an update on the status of the employee’s reported no-match. Submit any necessary corrections to the SSA. Employers should not attempt to re-verify any employee’s employment eligibility by requesting the completion of a new Form I-9 based solely on the no-match notice, nor should they require the employee to produce specific I-9 documents or provide a written report of SSA verification. 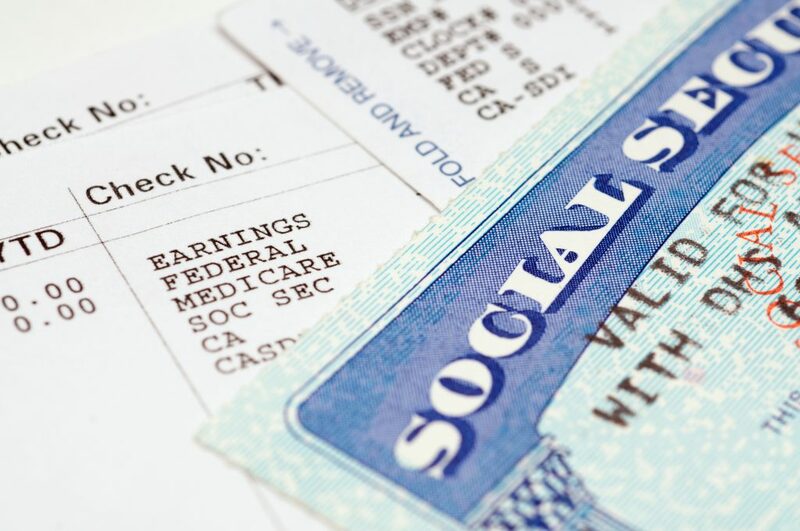 While it's ultimately the responsibility of the employee to address a Social Security no-match, employers may have to take action against the employee if it can not be resolved. Employers are advised to consult with a knowledgeable HR representative to ensure that they don’t cause any further compliance issues when addressing a No-Match letter they have received or making any employee status changes due to a No-Match going unresolved.